By now, we're sure your inbox has been inundated with umpteen emails about where to spend Fashion's Night Out next Thursday. You know, that fated night of shopping, noshing, and flaunting your fashionable pride (a.k.a. the most wow-worthy outfit your closet can muster up!). 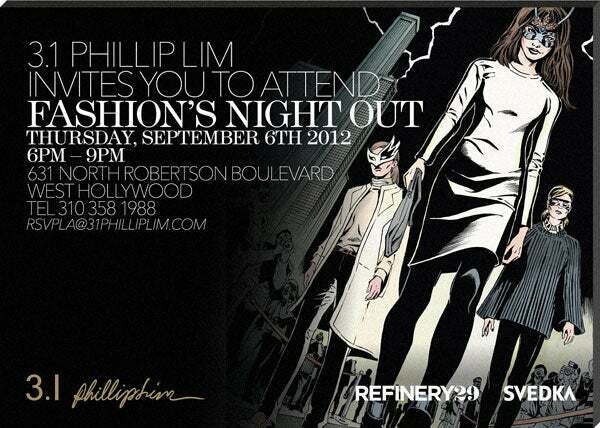 But, here's an announcement that soars above the ol' email blast: We're co-hosting what we think will be the best fête yet with none other than our ever-posh partner in sartorial crime, 3.1 Phillip Lim! To coincide with the Jan Duursema-scrawled and Mr. Lim co-written comic book the brand launched to celebrate its fall '12 wonder-wares, we're packing tons of superhuman power into this Melrose party! Some deets must remain a secret (all superheroes have 'em, right? ), but we'll tell you this much: The eve will have eccentric elements galore that will have your Twitter, Insta, and FB feeds in a tizzy (hashtag #killthenight). And if you need extra incentive other than social-media glory, note that you'll receive 15 percent off of everything in-store or online (with the code FNO2012) that day, an autographed copy of the graphic glossy with any swipe of your plastic (we have our hearts set on a 31 Hour tote), and if you purchase a purse, a gorgeous scarf will be wrapped up in the bag at the bash. But, wait — the best is yet to come! 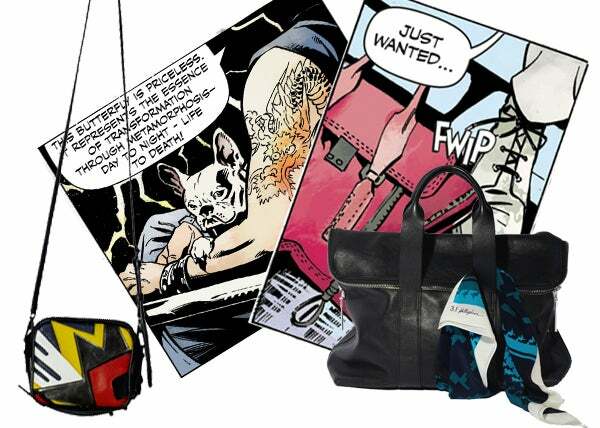 Our dynamic duo is gifting a free signed comic book and one Band Patchwork Small Zip Crossbody Bag (below) for the reader who can tell us their most adventuresome heroic story of a time when they've gone above and beyond the call of duty to save the day (you can nominate a pal, too). Next Tuesday, we'll post our three most inspiring tales for readers to vote on who should triumph over all! So, with lightning speed, start the comment storm below, and RSVP for this stupendous shindig immediately (we'll have to cap the list at some point)! No costumes required — unless, of course, you have a heroine-chic cape that's been deserving of some action. When: Thursday, September 6, 6 to 9 p.m.
Where: 3.1 Phillip Lim, 631 North Robertson Boulevard (between Santa Monica Boulevard and Melrose Avenue); 310-358-1988.